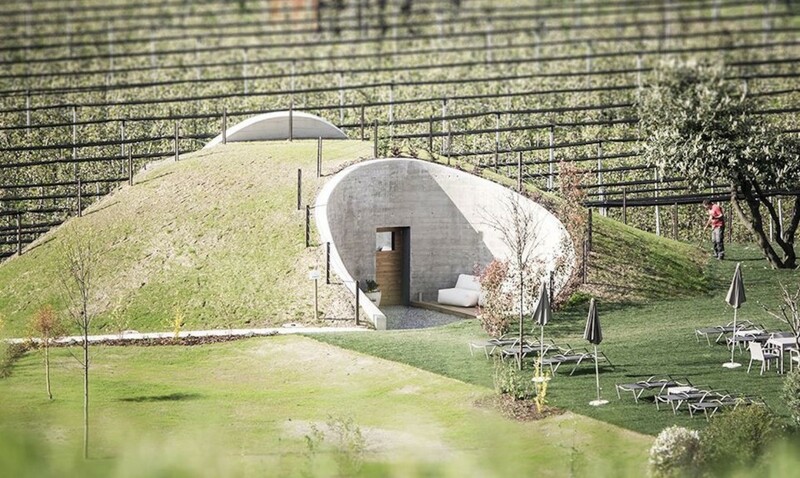 Looking part hobbit hole, part concrete bunker on the outside, this grassy knoll disguises a surprising secret. You might approach the little square window in the door expecting to see one of J.R.R. Tolkien’s signature darkened interiors lined with deep-toned hand-carved wood and colorful carpets, but what greets you instead is a modern sauna, with curving built-in benches facing a fire. Spherical contemporary lamps hang from the textured concrete ceiling, and a floor-to-ceiling window on the back wall overlooks an apple orchard. 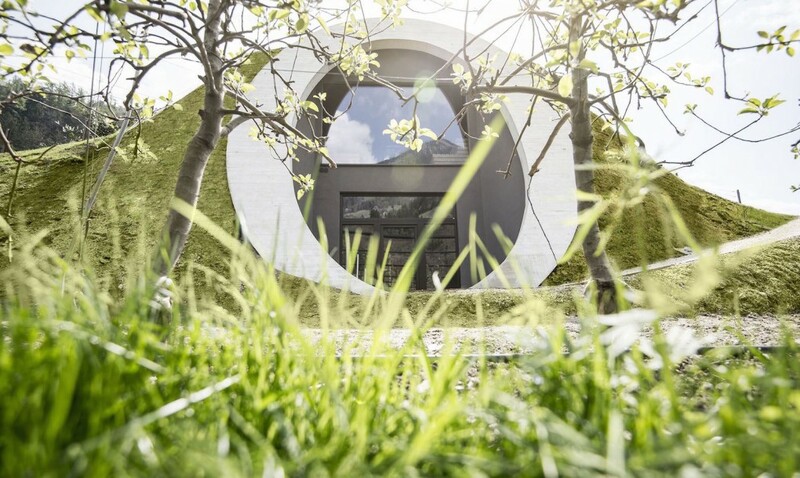 It’s no less idyllic than anything that appeared in The Lord of the Rings, as if a wellness center sprouted up in 21st-century Hobbiton. 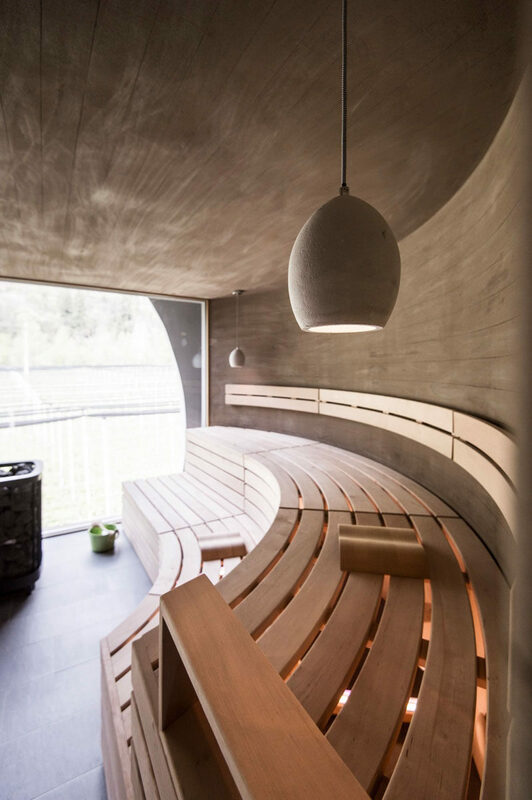 This sauna is the latest addition to the Apfelhotel Torggelerhof, a dreamy holiday destination tucked into the Italian Alps. Design studio noa* envisioned a building that acts as an extension to the garden, becoming a part of the picturesque landscape. The firm was commissioned to create the Applesauna, 9 new rooms and renovations to the existing structures adjacent to the orchard. 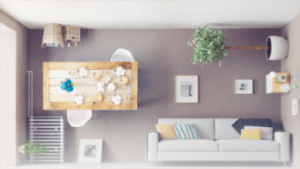 A look at the floor plan reveals that in addition to the semi-circular sauna, the earth-sheltered structure contains a relaxation area, and a lower subterranean level appears to house shower facilities. 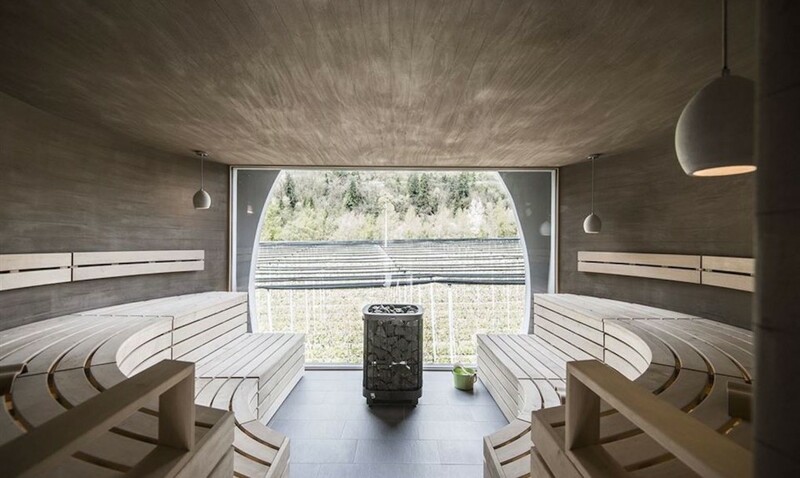 The relaxing ritual of sweating out toxins and water weight in a sauna is only enhanced by the unusual views of the apple trees in orderly rows, set against that dramatic mountain backdrop. 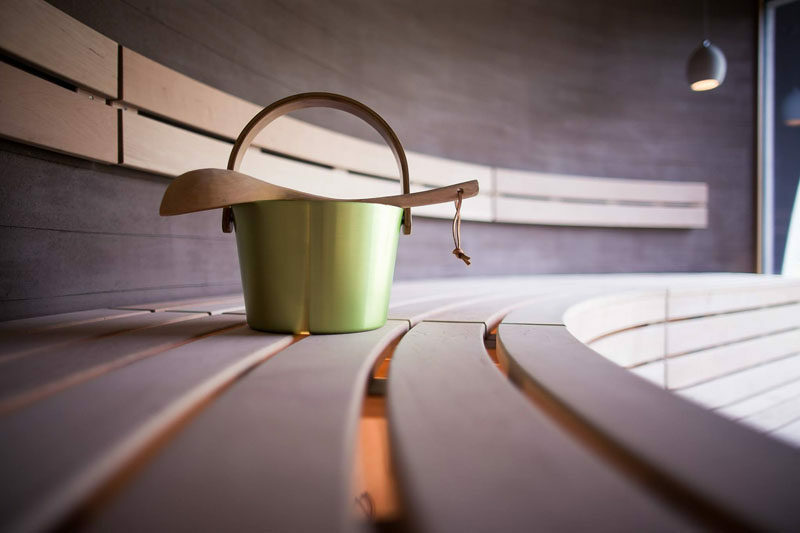 The rounded design of the sauna, with functional space at its ‘core,’ is perhaps the most creative architectural interpretation of an apple that’s ever been built, subtly referencing its inspiration without turning to kitschy literalism. It’s a beautiful addition to the Passeier Valley hotel, which is itself a lovely combination of traditional Italian and alpine typologies.